Audi cars are one of the worlds leading premium company because it launches high quality and innovative luxury cars. The company goal is to become the leading automobile luxury manufacturer in the Indian market forever. The company has finally launched low budget Audi Q3 S automobile in the market and it seems the company is aiming to increasing its volumes through this model. This vehicle is one of the most affordable luxury car offering in India and it seeks to redeem its compact SUV. This innovative model is the cheaper s variant, front wheel version of the standard car and loses out on certain features to reduce the cost of the vehicle. 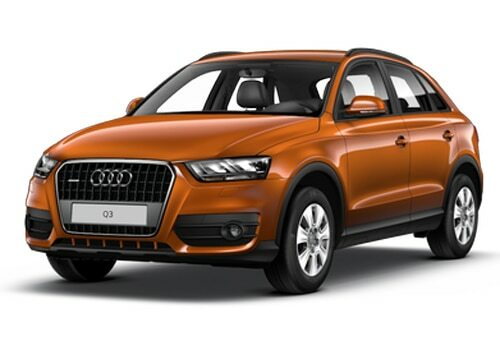 The Audi Q3 S Price has been unveiled and it is available in the Indian market for Rs 24.99 lakh. Coming with Audi Q3 S Features, it is equipped with de-tuned 2.0 TDI four cylinder engine which churns out 140 bhp and offers a maximum torque of 320 Nm. It offer a decent mileage of 17.71 kmpl, while the previous Q3 models offers 15.73 kmpl mileage. This vehicle misses out some features like automatic transmission gearbox and Quattro four-wheel drive is replaced by the front wheel. On the outside, the compact car comes with single frame grille, standard dumpers and 18-inch alloy wheels. Apart from these features it loses out the daytime LED lights, the panoramic sunroof and the xenon lights are replaced by conventional halogen bulbs. These changes bring the vehicle price down and also reduce its weight. This vehicle engine is coupled with a six speed manual transmission. The low budget vehicle comes with standard comfort features climate control, cruise control, voice dialogue system, rear parking aids, leather seats and power adjustable driver seat. Regarding safety, it is equipped with a, six air-bags, electromechanical parking brake and electronic stabilisation system. It also comes with advanced technologies like MMI with Blue-tooth connectivity and fold out screen. For the first 10 online bookings of the vehicle, the company is offering an off-road style package as an introductory offer. The Audi is assembling this low budget car from CKD kits at its Aurangabad plant, so that it can achieve low cost car as much as possible. The Audi Q3 S Pictures are available on various websites and check it for further information regrading the vehicle. At this price bracket, the car is expected to give a tough competition to other likes of the Mercedes A and B-Class and the upcoming BMW 1-series in this segment.